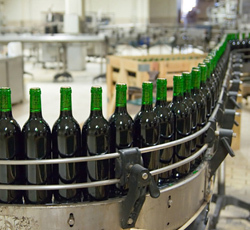 Bottling wine in the UK or in mainland Europe is becoming increasingly popular. Not only does this offer economic advantages, it can also be more environmentally friendly leading to a lower carbon footprint. NWWS has developed close connections with bottling plants in the UK and France, where we have wine bottled for our clients, mostly under their own labels. Sourcing and shipping of the wine in bulk, if required. Label and carton design and printing. Liaison with clients’ in-house or third-party auditors.